Your pet has been diagnosed with a cancer, what now? January 3, 2016/@mindspark/Comments Off on Your pet has been diagnosed with a cancer, what now? Cancer has been around as long as man has existed. Tumors in bones were identified in ancient skeletons. The difference is that long ago, cancer was rare. 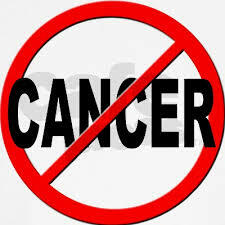 Current predictions are that 1 out of 2 human males and 1 out of 3 human females will be diagnosed with cancer. When I began practicing veterinary medicine in 1987, I saw 1-3 animal cancer cases a year. This past year (2014-15) has seen an exponential growth in the number of cancer cases. At the time of this article, I am seeing an average of 1-4 new cancer patients a week! The traditional Western approach to cancer prevention and therapy are not aimed at prevention and cure, but rather at maintaining a very lucrative moneymaking cash cow for the pharmaceutical and insurance industries. Not only has chemotherapy and radiation not been successful in curing cancer, many of the therapies and drugs are proven responsible for creating cancer. According to the AMA (American Medical Association) more individuals die of the side effects of chemo and radiation than from the cancer itself. Advertisements for “new drugs” clearly state that the side effects of the drug may indeed be worse (like strokes, suicide and death…) than the original dis-ease the drug is being used to treat! It’s a wonder that people take these drugs and allow these treatments, knowing the potential risks? It is because they know no alternatives and they trust their doctor and their government to protect them. The reality is that the western approach to medical therapy regarding cancer maximizes on fear and helplessness. In 1900, the death rate in humans from malignant cancers was 64 (per 100,000 population). This number has steadily increased every year despite the massive amount of money poured into cancer research! In 2015 it was predicted that 1 out of 2 or 3 people will be diagnosed with cancer. Cancer is not a death sentence for anyone. There are many alternative treatments that are successfully curing cancers.These approaches work because they are aimed at treating and curing the underlying cause(s) that allowed the expression of dis-ease to occur in the first place. All dis-ease is excess or deficiency or both. Being deficient in essential vitamins, minerals or fatty acids, or unable to absorb and utilize nutrients will create dis-ease. On the flip side, having an excess, (especially of toxins) will overwhelm the immune system and render it ineffective. In most situations, excess and deficiency are existing at the same time. ALL DIS-EASE IS ASSOCIATED WITH TRAPPED EMOTIONS. We are energetic beings living in a vibrational universe. Energy is neither created nor destroyed. Understanding these 2 principles allows us to understand that the energy or frequency associated with emotions can and does get trapped in the body. These energies, if not cleared, can and does get transmitted to the next generation where it can manifest as a particular dis-ease. Nothing in the universe is an accident. The location of a particular dis-ease all has relevance to identifying the trapped emotions. How does nature, animals and specifically our pets ties into this experience? Animals travel in soul families as people do. Pets (and all of nature) have a significant role in our human experience. Through the principles of entrainment, they help lighten the heavy dense negative and lower vibrational energies for us. When we are sad or depressed, we go into nature and feel better. We come home particularly stressed or sad and our pets rub on us or lick us, giving unconditional love and we feel better. For many people, their pet is their best friend, the one they hold while they cry and pour out their deepest darkest pains. If you are particularly attached to your pet such that you feel a deep soul connection, this pet has likely been with you in past lives. It is no coincidence that your pet is with you in this time as well. The particular health challenges they are exhibiting has great significance to you, offering clues to what you have carried forward. Animals reflect and or mirror emotions they entrained from your past that need to be (and can be) released. Spiritual Body: Also referred to as the soul. We are always connected to it. When we develop this connection we have greater intuition. Mental Body: Where thoughts develop. All our thoughts exist in a sort of vortex. As we put our attention on certain thoughts, we give those momentum and they are manifested into our physical world. “Be mindful of your thoughts” takes on a much more significant meaning. Emotional Body: Where the thoughts become colored and emotions attached. The emotions attached to a thought are dependent of the beliefs, experiences and significance the individual attaches to the thought and experience. Please note that beliefs are simply thoughts you keep repeating. If a belief is not serving you, you can change it! Etheric Body: Surrounds the physical body and is where everything passes through on its way into the physical. Physical Body: The part of us that seems so real! Equipped with 6 senses for us to fully embrace all the wonders of this dimension. It is also the vehicle we use to navigate this realm. It is the only one we have, we need to take precious care of it so it serves us well. My approach to cancer prevention and therapy (and any chronic degenerative dis-ease) is to incorporate an integrated program to restore the body to a natural state of health. Support digestion. 80% of the immune system lives in the large intestine. This is done by feeding a biologically appropriate species diet with plant based enzymes and probiotics in the form of live fermented foods. Replace any deficiencies by supplementing with the 90 essential vitamins, minerals and fatty acids. The essential nutrients are those that the body does not make, they are obtained by eating nutrient dense foods. No one knows the mineral content of the soil the food was grown on (and the livestock were grazing on). Most farming practices only replenish the soil with NPK (nitrogen, phosphorus and potassium) leaving the plants growing there to be mineral deficient. Anyone eating these foods will subsequently become vitamin and mineral deficient. These nutrients are critical in supporting the biological pathways the body uses to function with. Eliminate excess. There are many forms of detoxification. The specific plan will vary with the needs of each individual. Utilizing specific therapies, supplements, and technology to bring the body into balance. One of the biggest advances is the use of electroceuticals, the practice of treating dis-ease with energy. Energy medicine makes sense since after all, we are all energy! Clearing trapped emotions. Thoughts are things and each thought has an associated emotion based on our judgments and beliefs. Emotions are classified on a scale from low frequency to high frequency. The lowest emotional frequency is shame and the highest is love. In our experiential world, emotions are supposed to process and travel through us. Sometimes the emotions are too intense and they get walled off or stuck somewhere inside us. When the emotion gets stuck, it creates a vibrational disruption to the area it is stuck in, leading to dis-ease. Because our pets entrain to our energies, they too can carry these energies, showing them to us like a mirror or a messenger. As we clear the pet, we often find the owners benefit because as these energies are released, they are released for everyone. These energies are released from the past, the present and the future. What a great gift, to be able to release baggage that has been traveling with you, dragging you down energetically. Though all those energies served you at some point in your existence, they are presenting now because you no longer need them! It is like deleting a file in the computer, once you have identify the file, you can delete it. I truly believe that everything happens for our highest and best good. Even the unpleasant experiences can offer blessings if we maintain trust and faith that everything happens for our highest and best good. Contrast is the only way for us to see what we don’t want in order to get clear and take the actions required to move towards what we do want. Seek to find the blessings in everything. Since we are energetic beings, we attract that which matches our vibration. If you are in fear, you will attract more of that. If you are optimistic, you will attract more positive experiences. Be mindful of the emotions you are feeling. When you are feeling low vibrating feelings, switch your thoughts to what brings you joy, love and gratitude. The world we choose to create is in our hands. I believe our ultimate purpose is to use our gifts, our passion and our talents to serve others. I am honored and grateful to walk alongside you in this journey called life.